India to Station Ground Forces in Afghanistan? The Diplomat rounds up this week’s upcoming events in the Asia-Pacific. Every Monday The Diplomat's Zachary Keck takes a look at the latest happenings in the Asia-Pacific region. From important meetings of heads of state, to critical trade and business gatherings to matters of culture and art, The Diplomat keeps you up to date on the latest events. Here is this week's primer. See an event we missed or something for next week? Please post a comment below! May 19-20: Tajikistan’s President Emomali Rakhmon is on a state visit to China at the invitation of President Xi Jinping. May 19-20: Mexican Foreign Minister José Antonio Meade Kuribreña is in China for working visit. May 19-21: Bangladesh Prime Minister Sheikh Hasina visits Thailand. May 19-21: UK's Foreign Office Minister of State Hugo Swire will be Thailand to hold the inaugural Thai-UK Strategic Dialogue that was first announced last November. Vice Foreign Minister Jullapong Nonsrichai will represent Thailand at the Dialogue. 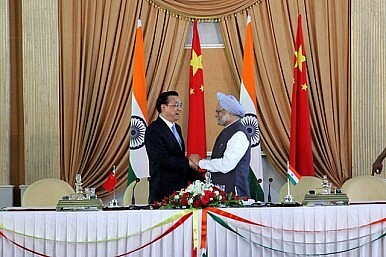 May 19-27: Chinese Premier Li Keqiang to visit India, Pakistan, Switzerland, and Germany. It will be Premier Li’s first overseas voyage since taking his current position. May 20: Myanmar President Thein Sein to travel to U.S. for a meeting with U.S. President Barack Obama at the White House. May 20-22: Afghan President Hamid Karzai to travel to India for meetings with India President Manmohan Singh. According to Defense News, India may station ground forces in Afghanistan after NATO forces withdraw in 2014. May 20-22: India and the U.S. to hold Homeland Security Dialogue, which will focus on terror groups like LeT and al-Qaeda, illicit financing and transnational crimes. Home Minister Sushilkumar Shinde will lead the talks for India. The U.S. will be represented by Homeland Security Secretary Janet Napolitano. May 20-28: 66th Session of the World Health Assembly. The World Health Assembly is the supreme decision-making body of World Heath Organization. May 20-29: Acting Assistant Secretary of State for East Asian and Pacific Affairs, Joseph Yun, will travel to Indonesia, Brunei, and Vietnam May for bilateral and multilateral meetings with senior officials. May 21: U.S. Air Force test launches a Minuteman III ICBM at Vandenberg Air Force Base, CA. May 21: ASEAN’s Council of Permanent Representatives Plus Three will hold a meeting. May 21: Iran’s Guardian Council’s deadline to announce the official list of candidates for next month’s election. May 21-24: ASEAN Regional Forum (ARF) Senior Official Meeting and ARF Defense Officials' Dialogue held in Brunei. There will also be a ASEAN Senior Officials’ Meeting (SOM), a ASEAN Plus Three SOM (APT SOM), and an East Asia Summit (EAS SOM). May 21-25: Vice Premier Wang Yang will pay an official visit to Zimbabwe and then will travel to Ethiopia to attend the African Union’s special summit for the 50th anniversary of the Organization of African Unity. May 21-26: Japan’s Parliamentary Vice-Minister for Foreign Affairs Kenta Wakabayashi travels to Columbia and Ecuador. In Columbia he will attend the Summit and the Ministerial Meetings of the Pacific Alliance. In Ecuador he will attend the inauguration ceremony of President Rafael Correa Delgado on May 24. China will also send an envoy to Ecuador for the occasion. May 21-28: Under Secretary of State for Political Affairs Wendy Sherman will travel to Indonesia, India, and Bangladesh. From May 21-23 she will be in Indonesia to participate in the U.S.-Indonesia Global Policy Dialogue. On May 24-25 Sherman will be in India to prepare for the U.S.-Indian Strategic Dialogue next month. She will end the trip with a stop in Bangladesh from May 26-28 where she will lead the U.S. delegation to the second U.S.-Bangladesh Partnership Dialogue (see below) and meet with Prime Minister Sheikh Hasin. May 22-23: APEC to hold a Senior Finance Officials' Meeting in Manado, Indonesia. May 22-24: Lao Foreign Minister Thongloun Sisoulith will visit Japan. May 23: U.S. President Obama to discuss legality of drone mission in a speech at the National Defense University. May 23-24: NATO and Russian officials meet in Moscow on Missile Defense. May 24: Iran’s Defense Ministry says it will unveil new military technology during parades for Khordad 3, which marks the anniversary of the liberation of Khorramshahr city from Iraqi occupation during the eight-year Iran-Iraq War. May 24-26: Japanese Prime Minister Shinzo Abe to visit Myanmar to hold talks with President Thein Sein. May 24-29: Uruguayan President José Mujica will visit China. May 27-30: Indian Prime Minister Manmohan Singh to visit Japan. Unspecified: Fiji leader Voreqe Bainimarama said he would travel to China before the end of the month. Attempts to buy security have been misguided. Myanmar’s Elections: An Historic Opportunity for ChangeElections in Burma: Time to Consolidate the Democratic TransitionAmerican Foreign Policy and Myanmar’s Democratic TransitionInterview: The Stateless RohingyaWhat Role Can India Play in Defusing Afghanistan's Election Crisis?